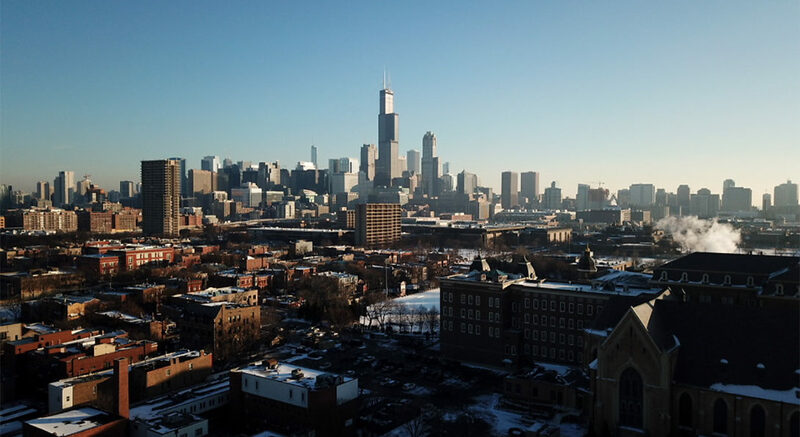 UIC's four year Urban Studies program offers students the opportunity to study cities in order to transform cities once they graduate. Our students experience and analyze urban issues from many different academic and practical perspectives in a department dedicated exclusively to the city. The Urban Studies (formerly Urban and Public Affairs) degree is a pre-professional program that prepares students to enter urban professions and graduate programs. Students will gain knowledge and understanding of the complexity and diversity of cities as well as seek specializations in particular issues affecting cities. Aside from this, students have the opportunity to complete internships and to acquire computer, research, and other skills proper of the field of urban planning and policy. First year students interested in the admission to the Bachelor of Arts in Urban Studies must complete a common application to the University and be admitted by the Department of Urban Planning and Policy, College of Urban Planning and Public Affairs. Admission is competitive, and preference is given to those applicants selected to have the best potential for academic success. Transfer Students who have completed a minimum of 24 semester or 36 quarter hours of transferable college classroom credit by the time of application, and do not meet the definition of an incoming freshman or a readmission applicant may apply to transfer into the program using the UIC web application or the common application. The minimum transfer grade point average for admission is 2.5/4.0 scale. Application should include a personal statement of educational goals. Admission for current UIC students to the Bachelor’s degree in Urban Studies within CUPPA requires a minimum grade point average of 2.0 and at least one term of study. Additional transfer admission requirements include a personal statement. The personal statement should be one to two pages, double-spaced and should include information on educational and career goals, detailing relevant academic and/or employment experience and academic or professional interest in the Urban Studies Bachelor’s degree program. International applicants must also obtain a minimum Test of English as a Foreign Language (TOEFL) score of 80, with sub-scores of Reading 19, Listening 17, Speaking 20, and Writing 21 (Internet Based). To earn a Bachelor of Arts degree from UIC, students must complete University, college, and department degree requirements. The Department of Urban Planning and Policy degree requirements are outlined on the Degree Requirements page linked below. Students should consult the College of Urban Planning and Public Affairs section for additional degree requirements and college academic policies. Elective courses may have prerequisites.